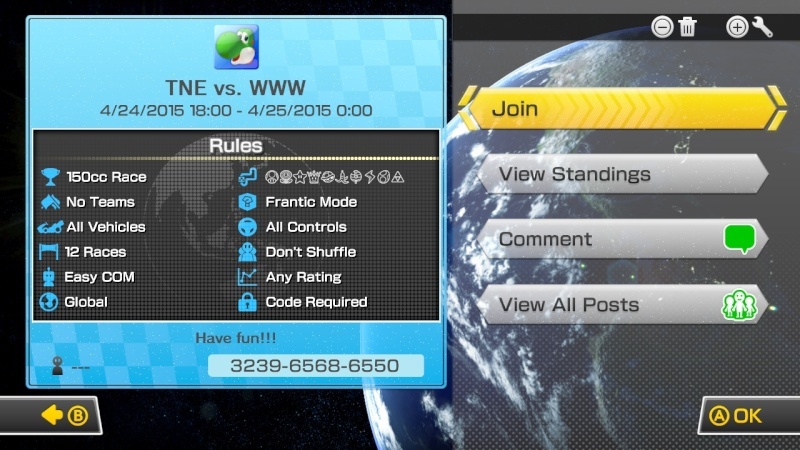 TNE Vs. WWW Mario Kart 8 Tournament! Next Friday we'll be holding a joint MK8 tournament with our affiliate The Nintendo Element in celebration of the new MK8 DLC Pack! You're all invited to join us! The winner will receive a Wii U download code for F-Zero (SNES). The password, date, and time of the tournament is all listed in the image above and is based on the PST timezone!